ADDRESS: 2433 Bass Bay Drive, Tallahassee, FL 32312. Deerlake West past Middle School. Right on Waters Meet. Third left on Bass Bay. House is on the right. SQUARE FEET: 2637 sq. 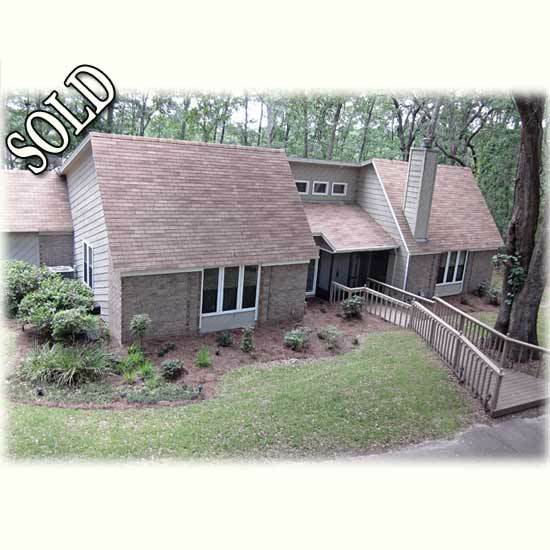 ft.
OTHER: Fantastic price on 3 bedroom/2 bath contemporary on Lake Monkey Business! Over 2400 square feet with open spacious plan. Greatroom with high vaulted ceilings with clerestory windows and other skylights; great sunlight filters into house! Huge master suite with sun room (other room) overlooking the lake. Master suite is 945 square feet. Newer roof, HVAC (2 units) and water heater. Can update to your choice. Lake frontage is 103 ft. with over sized dock. Can fish on lake with electric motors. July 4th fireworks sometimes set off over lake-front seat view! Can have one horse per acre in Unit 4. Come see the wildlife and enjoy the quietness in civilization!